Halloween is one of our favorite times of the year! Dressing up, eating candy, bobbing for apples... so many TREATS! What's not to LOVE? To celebrate the spooky season, we're teaming up with some of our favorite brands to bring you a Trick or TREATS giveaway grand prize package! 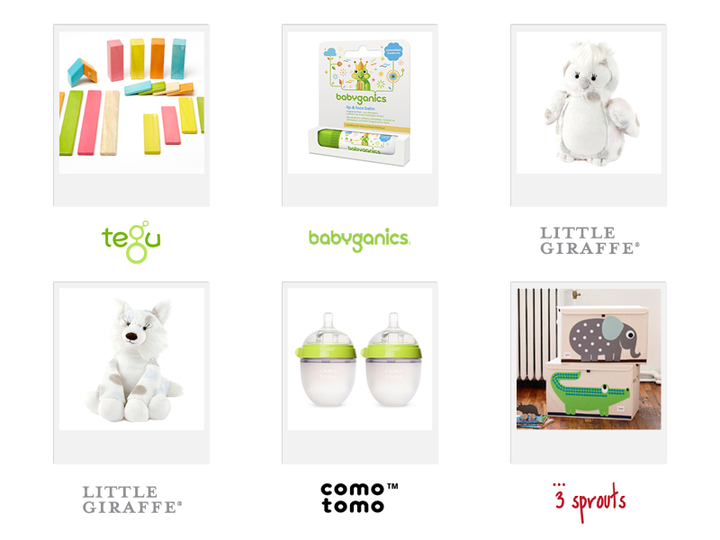 We've got goodies from Little Giraffe, Comotomo, Babyganics, 3 Sprouts and Tegu, just for your little trick-or-treater! Little Giraffe has 2 brand new little friends with Little O the owl and Little F the fox! They're 2 perfect additions to the family, both soft and snuggly as can be! Comotomo bottles are made with baby + parents in mind. Soft and squishy, they're the next best thing to mom! You have the chance to win an 8oz twin pack, a 5oz twin pack and one of their teethers! Babyganics is known for their baby-safe products that get your little one squeaky clean! They've got a great prize package including bubble bath, foam shampoo & body wash, hand & face wipes, daily lotion, lip & face balm, and bedtime lotion. 3 Sprouts' collection of baby and children’s storage products will delight your little one while also appealing to your need for tidy spaces. The winner of the $50 gift certificate will have their choice of 3 Sprouts storage products! Tegu’s 24-Piece Set of magnetic wooden blocks is perfect for building creations large and small. The set is a 100% safe and toxic free assortment of beautiful block shapes, all with built-in magnets offering kids (and adults) opportunities to discover creative play!